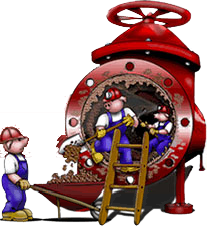 Maintenance staff suffers from the, "alarm light shudders"
The system has a radical profile with many low points, which can become collection sites for solids, sand, silt, particulate matter, etc. 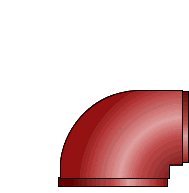 The last section of the force main is a gravity system which allows air to constantly enter the piping resulting in carbonizing deposits building up on the interior top half of the pipe. Upgrading the size and horsepower of the lift station pumps has not provided the anticipated increase in system efficiency. The potential for overflows, backups and system blockages is also threatening to cause writers cramp for regulatory agencies. Repairs, taps and visual inspection confirms that the system is "dirty"